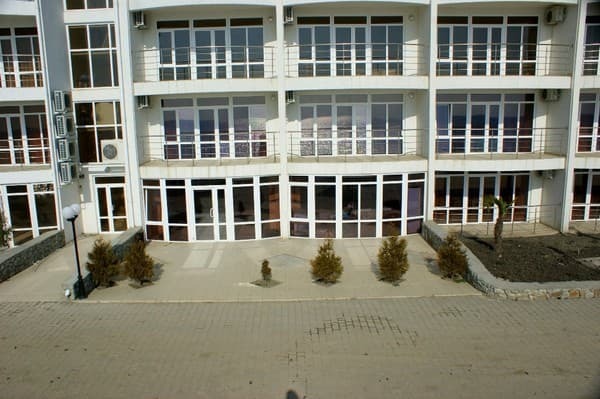 Hotel "Da Vasko" is located on the very shore of the Black Sea. From the shore of the bay there is a magnificent view: on the right is Mount Ayudag (Bear Mountain), on the left Dragon Mountain (Cape Meganom). 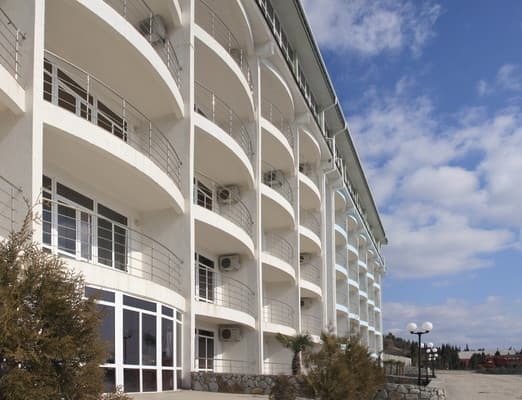 The hotel complex "Da Vasko" consists of 32 comfortable rooms of the category "Suite", "Junior Suite" and "Standard", located in two modern six-story buildings. All rooms are equipped with comfortable furniture, air conditioning, cable TV, refrigerator. The hotel's own beach, located 10 meters from one and 50 meters from the other building of the hotel, is equipped with everything necessary for comfortable rest: shady canopies, toilets, showers and sun loungers. Also at the services of the guests of the hotel are "Da Vasko" Wi-Fi, an outdoor swimming pool, a children's playground. 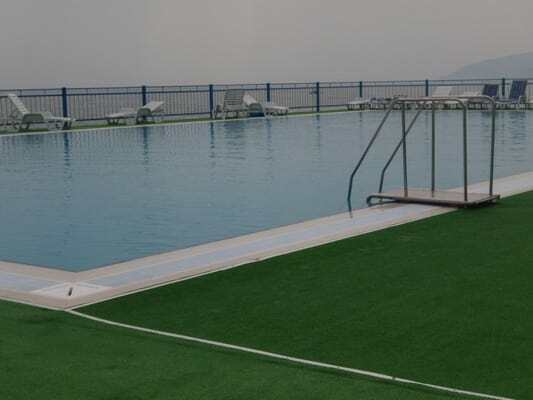 For fans of sports recreation, a tennis court and a badminton playground. Distance to the city of Alushta - 9 km, Simferopol - 50 km. PRICES ON THE SITE ARE AVAILABLE AT THE COURSE 03.03.15 (0.43). The cost may vary, depending on the course, it is necessary to obtain information about the operator! 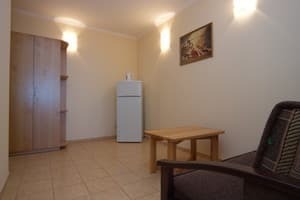 Description of the room: Cozy one-room area of ​​40 square meters. m, which has everything you need for a comfortable stay: a double bed or 2 single beds, a wardrobe, a sofa. 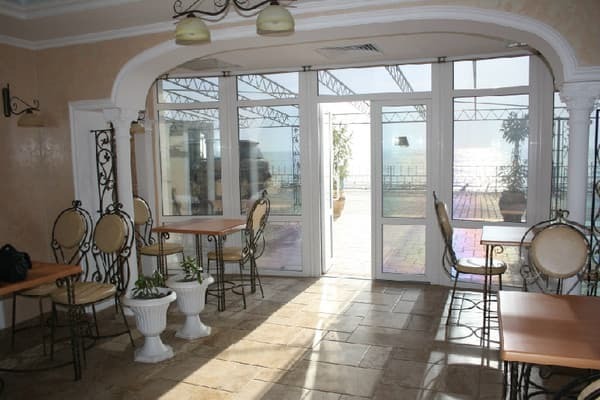 There is a balcony (7 sq.m). Description of the room: A cozy two-room suite with an area of ​​60 square meters. m, which has everything you need for a comfortable stay: living room (sofa), bedroom (double bed, wardrobe). 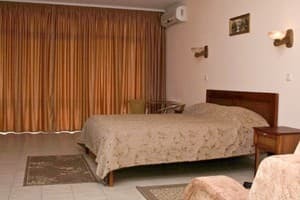 Description of the room: A cozy two-room or one-room suite with an area of ​​60 square meters. 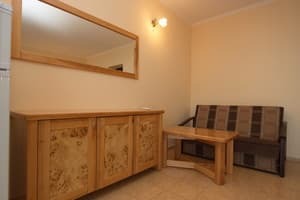 m, which has everything you need for a comfortable stay: a set of dishes, a living room (sofa bed), a bedroom (a double or two single beds, a wardrobe). Balcony (7 square meters). Children under 5 years old without meals and extra beds are accommodated free of charge, with an additional seat - 130 UAH, children from 5 years old and adults - 300 UAH. Complex breakfasts and lunches are available. 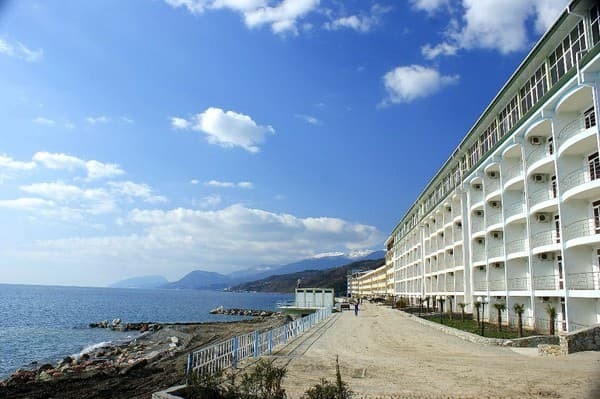 The hotel is located on the very shore of the Black Sea, on the territory of the reserve, where cypresses and millennial junipers grow in the village of Semidvore, between Alushta and the New World. Distance to the city of Alushta - 9 km. The hotel's private beach, located 10 meters from one and 50 meters from the other building of the hotel.